RC Willey offers this 3 piece modern entertainment center that will transform the look in your living room. An asymmetrical, open design is paired with an electric fireplace insert that offers an unparalleled three-sided view of the enchanting 3D flame effect. As it supports your flat screen TV up to 65″ and 90 lbs., this stand makes a statement that you are the style trendsetter to watch. The Cambridge black oak finish with a black cord management panel and base allow this piece to flourish in a contemporary home. The finished back panel lets you place this TV stand anywhere in the room. The 5,200 BTU fireplace provides supplemental zone heating for rooms up to 1,000 square feet, helping you save money, and the infrared quartz heat helps maintain the natural humidity within the air, for a more comfortable heat. In addition, the Illumitouch™ seamless, embedded control panel features a digital readout that appears and fades with a light touch for a clean look. Finally, the fireplace also features Safer Plug™ fire prevention technology that lets you feel confident that your family, home and product are safe by continuously monitoring the temperature of the plug. 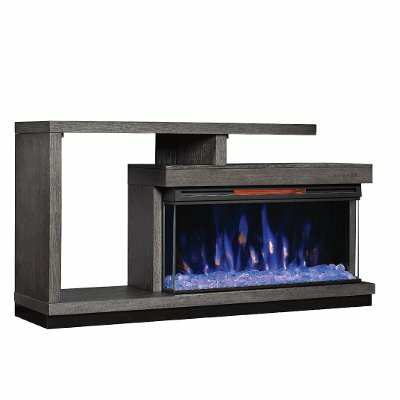 With a unique modern style, this 60 inch oak panoramic fireplace TV stand from RC Willey will transform your living room. An asymmetrical, open design is paired with an electric fireplace insert that offers an unparalleled three-sided view of the enchanting 3D flame effect. As it supports your flat screen TV up to 65″ and 90 lbs., this stand makes a statement that you are the style trendsetter to watch. Get it today, from RC Willey. 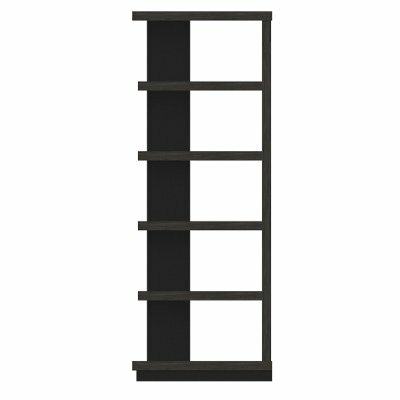 RC Willey offers this modern black oak bookcase that will work perfectly in any room in your home. This bookcase makes a statement that you are the style trendsetter to watch. The Cambridge black oak finish will allow this piece to flourish in a contemporary home. Add just one, or choose several to create a bookcase wall. RC Willey. Your Home. Your Way. Infrared heat will warm 1000 sq. ft.